“We thrive on innovation and constantly adapt to the changing technology landscape and needs of our market, and we felt that updating our brand would strongly reflect this philosophy,” says Wright. Striata’s new logo is more contemporary, with a slight slant forward – this represents constant innovation and forward thinking. The letters are bold and striking, which is representative of its commitment to clients in terms of delivering both proven solutions and cutting edge methodologies. Striata’s new website enables easy navigation via a slick new user interface. It has also been built around a responsive framework ensuring that it is has been optimized for all digital devices. The new Striata website is packed with valuable information and resources, including white papers, case studies, weekly updates to the blog, newsletters, demos and more… all of which are easily accessible. 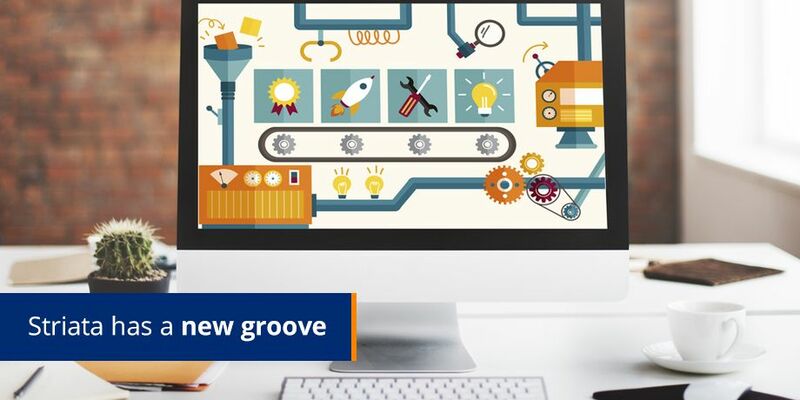 Punchy copy and tons of images – all of which have also been revamped with Striata’s new look and feel – allow for easy comprehension of Striata’s solutions and services. Industry specific solutions – organizations from various industries will find information on Striata solutions and services specifically crafted to meet the needs of their respective industries under the ‘Industry Specific Solutions’ tab. 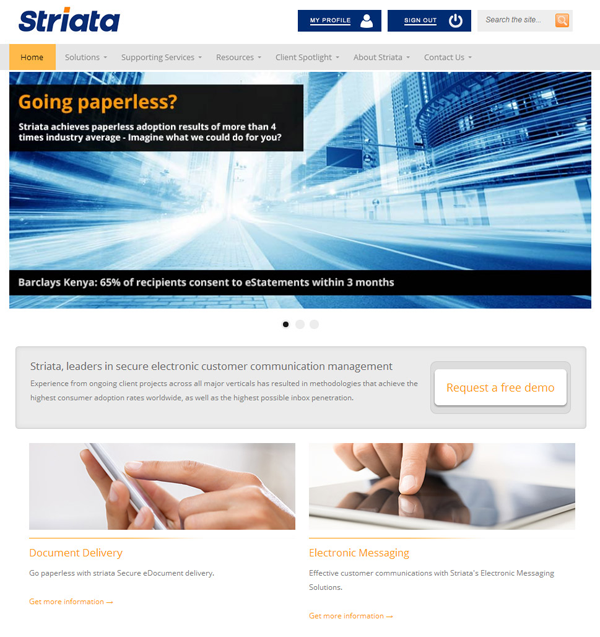 Industry specific demos – Striata enables users to experience Striata email document delivery solutions for themselves via great, functional industry specific demos that are accessible and available via the new website. Users can select the email communications they wish to receive via a preference center which they have instant access to upon registration. “Striata is sporting a new look, but our business approach remains the same. Trusted for more than 15 years by 300 clients in 20 countries, this is just another way we are ensuring our clients’ paperless journey with us is a successful one!” concludes Wright.